Are These The 10 Best Philly Suburbs? Editor’s note: No surprise that the future tourism mecca of Western Montgomery County is missing from the list. I guess mini-golf, carousels and train rides aren’t enough to propel a crime infested borough to the top of any great places to live list. Not sure why the cart is always put before the horse. Real estate website Movoto.com has compiled a list of the 10 best Philly suburbs. With nine towns in Pennsylvania and one in New Jersey, the site ranked these towns based on many factors such as amenities per capita, standard of living, crime rate, and average commute time to Philly. Six towns in Montgomery County made the list, while the rest were in Chester, Delaware and Camden counties. Hazleton – 38 officers, hiring 10 new police officers built in the $9.3 million proposed budget (they think they have a crime problem). Editor’s note: Would it have made more sense for Capt. Drumheller to take the Civil Service test before being offered the promotion? I love how council forms a committee to find a new police chief and they do absolutely nothing. The point of the committee was exactly what? We all know how things work in Pottstown **wink, wink, nod, nod** Thank you Evan for your candor in reporting this process. POTTSTOWN — Police Capt. Richard Drumheller is now one step closer to being Police Chief Richard Drumheller. If approved by a borough council vote Monday night, Drumheller will replace Borough Manager Mark Flanders, whose retirement as police chief becomes official April 14. Since he was appointed Nov. 13 as borough manager, Flanders has held both positions, although drawing only one salary. For the most part, Drumheller has been running the department since then. Editor’s note: Scranton had a population of 76,089 according to the 2010 census. The city is 25 square miles. According to Citydata.com, Scranton had 150 police officers and a department of 170 as of 2010. The crime rate in Scranton for 2010 was 275.7 (US average is 319.1). Scranton currently has an acting Chief of Police whose salary is the same as the permanent Chief who stepped down three months ago. The salary for running a department of 170, in a city of 76,000 people is $81,073. Pottstown had 22,377 residents according to the 2010 census and is 5 square miles. Pottstown had a police department of 46 officers (58 total) per Citydata.com’s data for 2010. 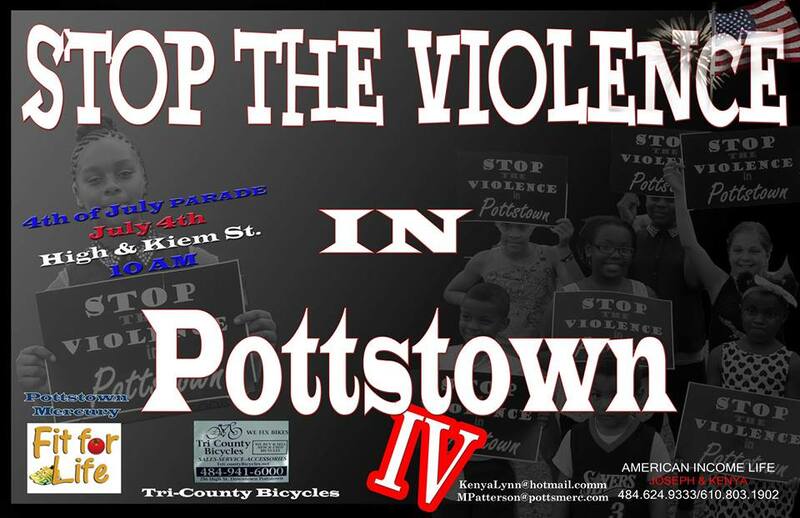 Pottstown’s crime rate for 2010 was 539 (US average 319.1). Pottstown’s Chief of Police/Acting Borough Manager is already making more than $100,000.00 a year. The cost of living differences being taken into consideration, Scranton is 3 1/2 times the size of Pottstown in population, 5 time as large as Pottstown in area and has a police department 3 times the size of Pottstown’s and yet Scranton’s Chief of Police makes $20,000 less a year than Pottstown’s??? We won’t even get into the difference in the crime rate between the two (HINT: Scranton is safer). Does this not illustrate why Pottstown’s budget is grossly over inflated? Does this not indicate paying a new borough manager way more than Jason Bobst was making is fiscal insanity? The mayor of Scranton, who is the chief executive and not a ribbon cutter like Pottstown’s Missy Mayor, makes $81,872 (far less than Jason did) and he runs a city 3 1/2 time the size of Pottstown. And trust me, running Scranton is more challenging than running Pottstown. Pottstown Borough Council might as well start a bonfire in Smith Plaza, throw the taxpayer’s money in, make a few s’mores and call it a day!